Jussie Smollett is a lying skank. Let’s be clear about that. After having Michelle Obama pull political strings, Smollett got charges dropped by an all-too-complicit State’s Attorney. As it turns out that individual is a big Obama supporter and friend of the Smollett family. It appears that the Illinois State’s Attorney is a bit of a “star-f*cker”. That’s what you call a person who tends to be enthralled by even B-list actors like Smollett. 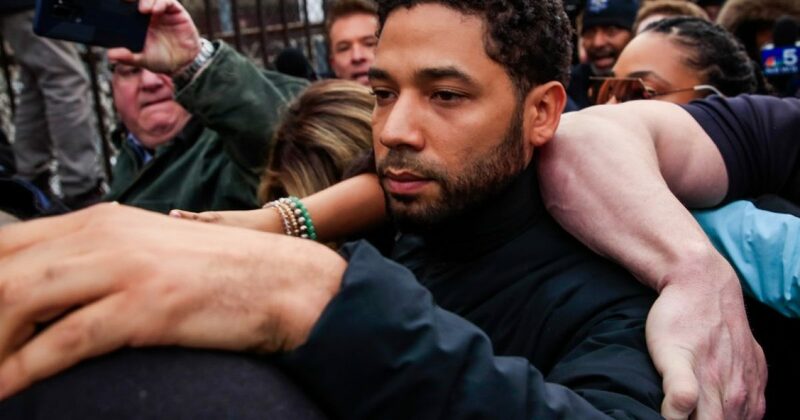 As for Smollett post-release, he declared that he would not be his mother’s child if he even “one drop” of what was proven about his were true. The old “one drop” rule. Take a gander at the police reports released by Chicago PD. Then tell me there is some conspiracy against Smollett. Do we really need to rehash this hypocrisy of a man who wanted to feign sympathy for himself to get a raise? This story was important when it broke. I told my radio audience and many others why the Smollett story is so important. The fact that Leftists LEAPED on this story so quickly shows why it is impossible to reason with them. Senators Cory Booker and Kamala Harris both called this act a “modern-day lynching”. Then they politicized it, saying we need anti-lynching legislation in America. Talk about your Circa 1940s Democrats. Speaker Nancy Pelosi tweeted support for Smollett and wished him a speedy recovery. As I wrote recently, Pelosi has sense deleted her tweet, and I expect others to follow suit. Hollyweirdos made a “Get Well” video for Smollett, while many in the media decried the act and particularly 2019 America. 2019 America is amazing. And the only thing bad about it are the lying Leftists who create fake news and other vicious lies meant to hurt innocent people. All for their Leftist agenda. The fact that Smollett doubled-down on his lie provides more ammo for Conservatives. We get another plate appearance. This time we need to knock the ball out of the park. The only modern-day lynching occurring is against Conservatives.